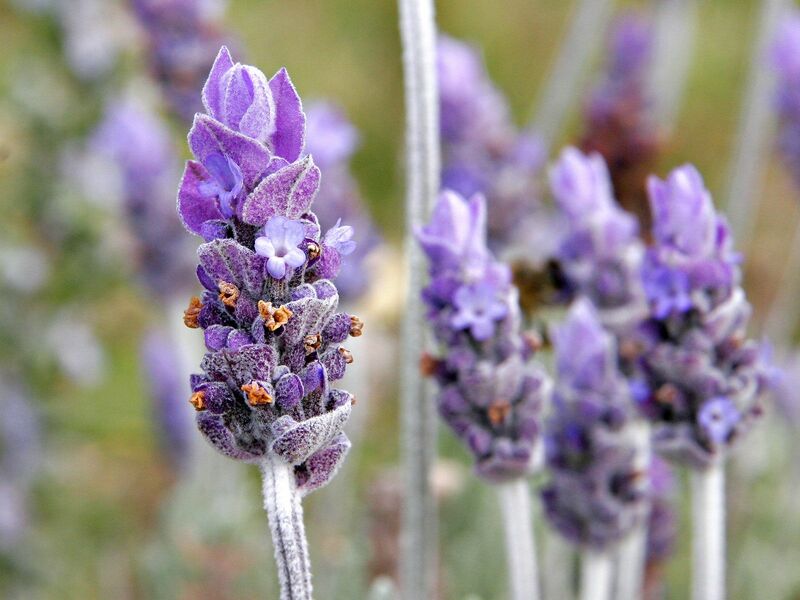 Aromatherapy describes the therapeutic use of essential oils. Essential oils are at times diluted to a manageable potency and used either directly on the skin or indirectly through inhalation. But essential oils are not all about smells. Aromatherapy has been proven to have therapeutic effects on both people and animals. At this point I have to mention one must always be cautious when using essential oils on animals (especially cats) as essential oils can be powerful and have damaging health effects on the more sensitive of breeds. Essential oils are completely different from ‘fragrant oils’, as they are extracted from plants and herbs and are proven to have therapeutic effects. Fragrant oils on the other hand are often chemically manufactured or produced to provide a cheap smelling oil based product. Each essential oil has a specific property – similar to herbal medicine – including anti-bacterial, anti-fungal and antiseptic qualities of the oil etc. The aromatic molecules of essential oils are so small they are able to penetrate the deepest layer of the skin, and because they are also fat-soluble they can seep beyond the skin cells and enter the bloodstream, which is where the healing properties do their job. Dispersing via the blood is what enables the antibacterial/antiseptic/antifungal elements to be absorbed and used within the body. 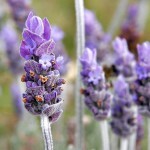 Essential oils also enter the body via inhalation. Whether your horse can smell it or not, inhalation of essential oils creates a message that is sent straight to the brain and can affect hormones and other emotional stimuli. A certain amount will also pass through the mucous lining of the nose where it can enter the lungs having a positive effect on breathing and other respiratory tract issues like asthma or chest infections. Essential oils can have enormous medicinal benefits and can be an integral part of any natural first aid kit for horses and people alike. It is interesting to note that your horse if given the opportunity, will often select the most beneficial essential oil for them. A particular attraction or infatuation with a specific oil’s smell, can mean that your horse would benefit from the therapeutic effects of that essential oil. The same applies to people. Using a cold pressed vegetable oil base, your Essential Oils needs to be diluted to approximately 2.5% and can be used on an area that is sore or needing invigorating. Therapeutic grade essential oils are beneficial for emotional healing as well as physical healing. It is important to note however that horses have a very good sense of smell and do not need the oils to be very strong to still have a profound effect. There are some oils that are best to avoid if you have a pregnant mare. 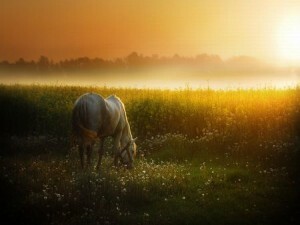 A qualified aromatherapist will be able to inform you about which oils to use on your horse. And I will also cover this topic in future blog posts. As they are not protein based, essential oils will not cause an allergic reaction (unlike the use of fragrant oils). However it is still possible for your horse to be intolerant to the oils. Some oils are phototoxic which means they make one more sensitive to sunlight: as a rule this applies to the citrus oils and as a general principle it is best to be well informed about the oils properties before using them on your horse. Essential oils can be beneficial in a number of circumstances, and to find out specific properties and their healing applications I recommend consultation with a qualified equine therapist. Any major imbalance or health condition in your horse must also first be assessed by a veterinarian. Like much of what nature provides, we are given access to an abundance of natural, health enhancing properties that can be beneficial for ourselves as well as our horses. Essential oils can assist your horse towards greater vitality and longevity in life and give them the support of natural, plant based goodness to keep them in great health and balance. 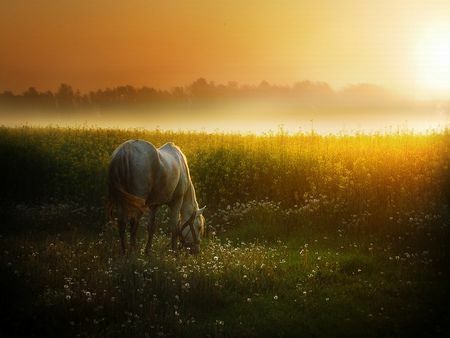 I often think that in times of lesser captivitiy and human involvement, horses would have had access to a much greater range of flowers and plants to assist them in staying well. I think of essential oils when I want to support my horse through a chronic health condition or to help them through unfamiliar circumstances. Contact Zoe to find out how essential oils can help your horse experience good health.